 The following policies were developed by the Committee for Academic Continuity in the College of Arts and Sciences and are designed to ensure that faculty and students know how they will communicate, in a uniform manner across the College, should a major disaster or disruption occur. Beginning in Fall 2013, every course offered in the College of Arts and Sciences will have a shell in Blackboard Learn. Each course will have the course syllabus posted in this Blackboard Learn shell. Students should go to the main University of Alabama website, www.ua.edu, for general information in case of an emergency. Following an emergency/disaster, the instructor will communicate any emergency information concerning the course within Blackboard Learn.